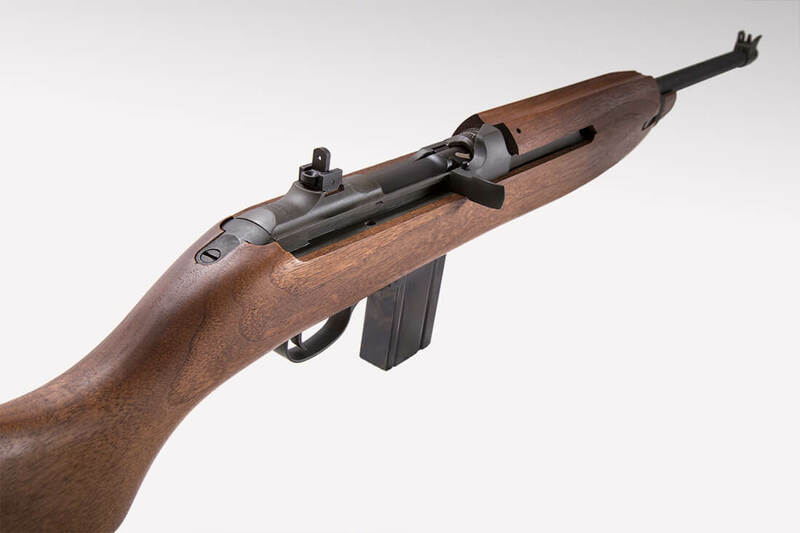 Auto Ordnance M1 Carbine - Auto-Ordnance | Original manufacturer of the world famous "Tommy Gun"
The Auto-Ordnance M1 .30 Caliber carbine is produced in Kahr’s state-of-the-art manufacturing plant in Worcester, MA. All Auto-Ordnance carbines are produced using newly manufactured parts on high precision computerized machinery. 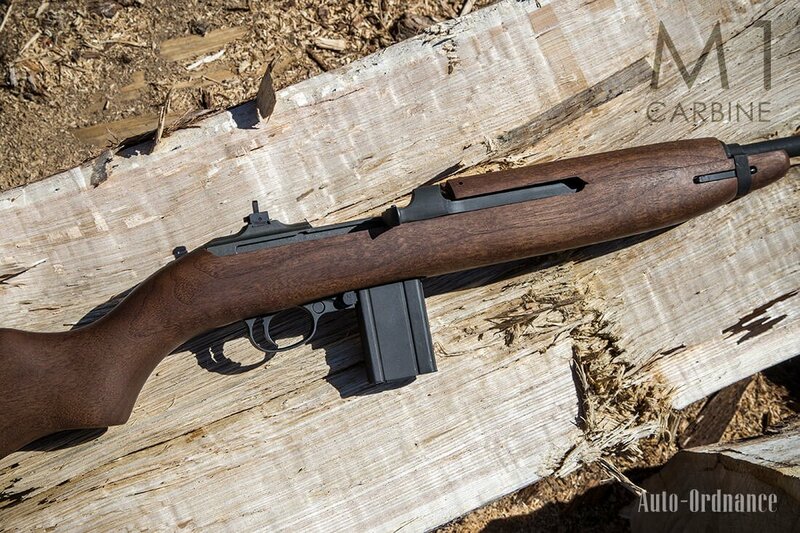 Each Auto-Ordnance M1 Carbine is a faithful reproduction of the famous military rifles that served American forces beginning in World War II. 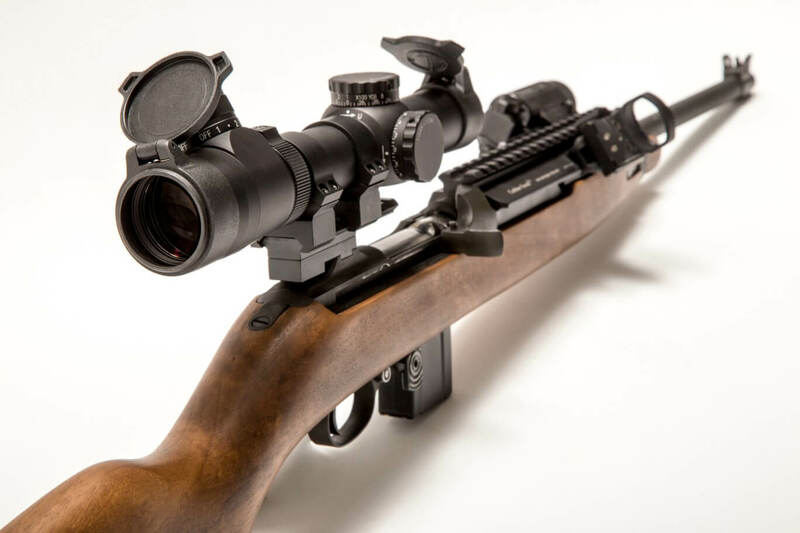 Each rifle has a Parkerized finish, American Walnut stock, 15 round magazine (10 rounds where required by law), 18” barrel, and flip-style rear sight. 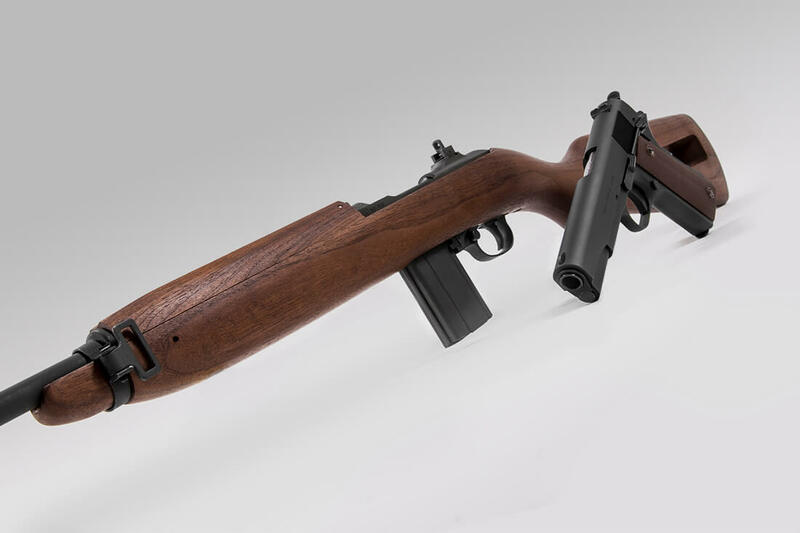 Our “Paratrooper” model has a folding metal stock, and wood pistol grip. 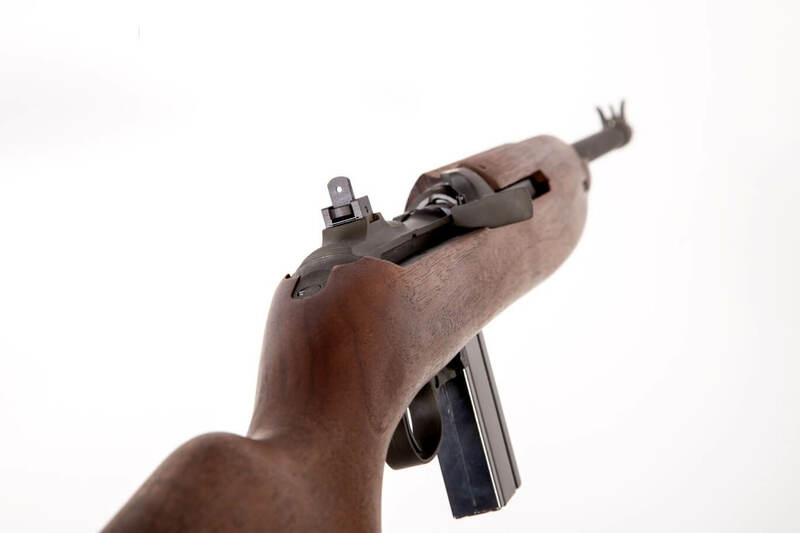 Markings include the following: Auto-Ordnance, Worcester, MA behind the rear sight; U.S. Carbine, Cal. 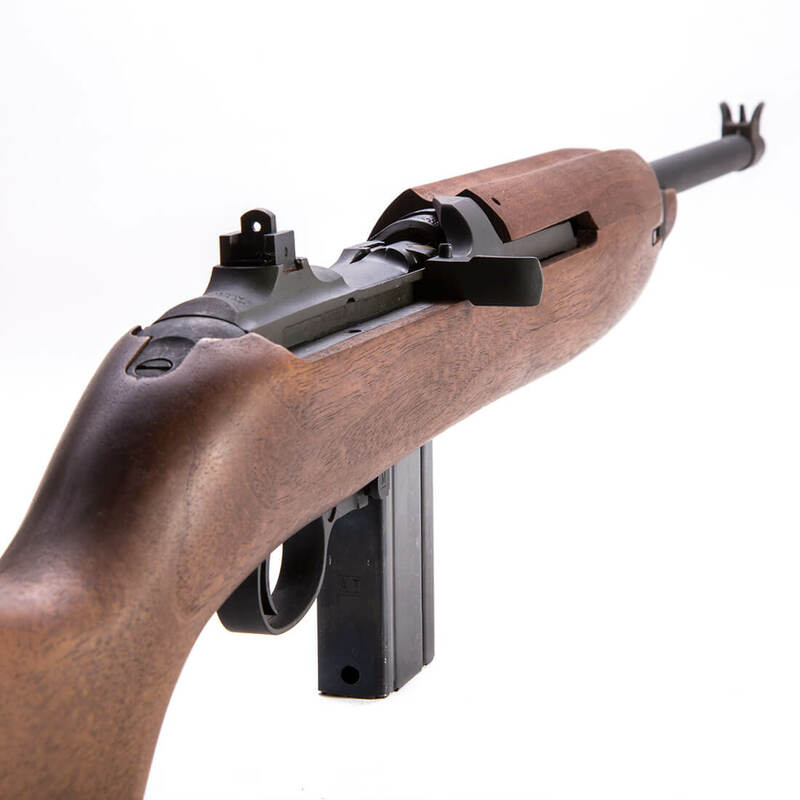 30 ML on the receiver in front of the bolt; and the serial number is engraved on the left side of the receiver.